Health Insurance Reform – FAQs: Medicare Tax on Net Investment Income. 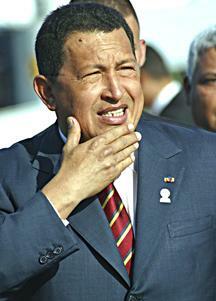 Venezuelan President Hugo Chavez has directed his government to stop paying the rent on its Miami office. It’s not often a landlord gets to evict a nation, but Tibor Hollo is doing just that to Venezuela and its consulate in Miami. TWJ 1101 LLC, which owns the office building at 1101 Brickell Ave., filed an eviction lawsuit against the government of Venezuela, its economic development bank and its consulate office on Feb. 7. The building is owned by Florida East Coast Realty , led by Hollo, its president. Venezuelan President Hugo Chavezannounced in January that he would close its consulate in Miami after Livia Acosta Noguera, its Miami consul general, was expelled from the U.S. She was subject to an FBI investigation over allegations that she was involved in a potential cyber-attack on the U.S. government – news unveiled by Univision. Hollo said the Venezuelan officials have cleared out of his building and he hasn’t been able to contact them. Hollo noted that Banco Industrial de Venezuela, a state-owned bank, is current on its lease payments for another suite in that building. Having a bank office in Miami helps Venezuelans in South Florida with some financial transactions, but the loss of its consulate makes it harder for them to get documentation such as passports. Given the eviction lawsuit, it looks like a Venezuelan Consulate in Miami won’t be reopened anytime soon.